Choosing windows and accessories to accent your garage door adds special interest and can greatly increase your home’s curb appeal. To better understand the options available to you, please spend some time browsing this section of our website. If you have any questions please contact us and one of our representatives would be glad to assist you. Clegg Brothers’ service territory includes Orange, Dutchess, Rockland, Putnam, Sullivan and Ulster Counties in New York State. Another way to accent the look of your garage door is with the choice of handles and hinges. 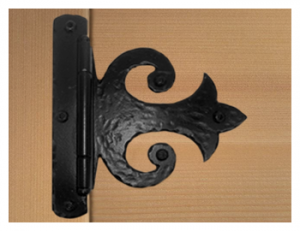 Add a touch of old world charm to your modern Carriage House Door. We offer a variety of handle and hinge packages including: hinges, working locks, lift handles and pull handles. Our representatives are available to help you select one to suit the overall look of your home. 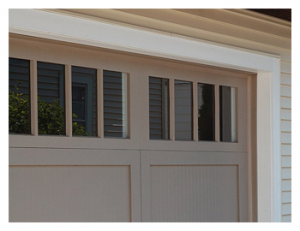 Adding windows to your garage door can instantly transform it from a functional feature to a stylized enhancement that increases the property value of your home. Windows can even save energy because the natural light that shines during the day means you don’t need to turn on the lights. With so many variations to choose from such as, shape, placement, tint and insulation you can customize the look of your garage door to be something you really love!